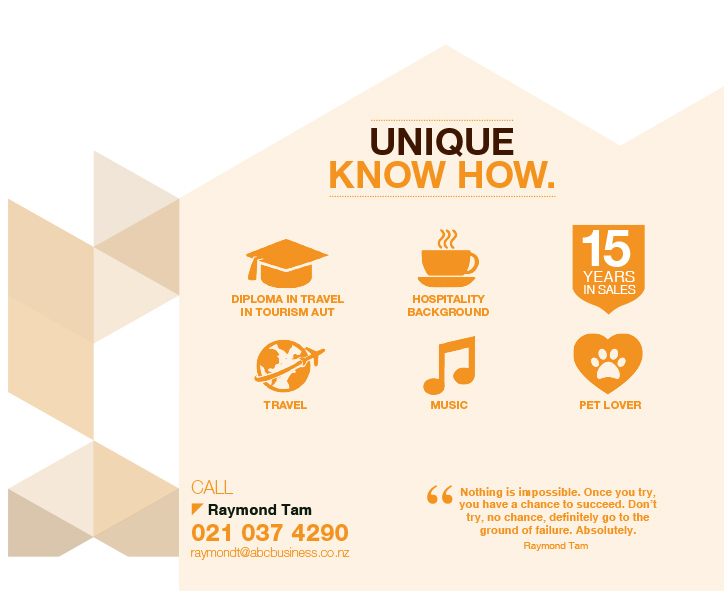 Raymond's experience spans the electronics, tourism and hospitality industries after Raymond opened a cafe in 2003. He brings fluency in Cantonese and Mandarin to the Chinese and Auckland Hospitality Teams. Raymond originates from Kowloon Bay in Hong Kong and has called New Zealand home for the last 20 years. His experience spans the electronics, tourism and hospitality industries after Raymond opened a cafe in 2003. Thank you for your getting in contact.